You can trust Fernando D. Vargas for unparalleled personal attention and effective representation following a premises accident. Have you been injured on someone else’s property? Maybe you suffered a slip and fall accident while shopping at the grocery store, maybe you tripped over an unmarked curb in a parking lot, or perhaps you fell on a poorly lit staircase in an apartment building. Property owners have a duty to keep their properties in reasonably safe condition so that these kinds of accidents and injuries don’t happen. When they fail in this duty through their own negligence, injured victims can and should seek compensation. Fernando D. Vargas is a highly respected premises accident attorney with over 30 years of experience in this highly specialized area of personal injury law. He knows the legal statutes and the body of case law that apply to your case, and he can leverage this knowledge in or out of court to help you get the best possible resolution to your case. …How Do I Know if I Have a Case? The property owner either failed to remove or repair the condition; or failed to warn about the dangerous condition, provided the warning would have made the condition safe. It is important to note that property owners are not necessarily responsible injuries stemming from “open and obvious” hazards. California courts have held that where a danger is so obvious that a person could reasonably be expected to see it, the condition itself serves as a warning and therefore, the property owner has no duty to warn of the condition. The “open and obvious” dangerous condition is not a defense under all circumstances, especially when the condition cannot be avoided. The courts will balance the duty the property owner has to maintain the safety of the property with the duty to warn. However, the property owner may still have a duty to remedy the dangerous condition. The simplest way to figure out how these legal principles apply to your case is to ask your premises accident attorney. You can rely on Fernando D. Vargas for a thorough and accurate assessment of the strength of the evidence in your case as it applies to proving property owner negligence. You can rely on Fernando D. Vargas to help make sure all these different types of damages are properly documented and valued, so that you can seek maximum compensation for your premises accident injuries. At The Law Offices of Fernando D. Vargas, we offer no-risk representation to make the services of a skilled premises accident attorney in Rancho Cucamonga affordable to all. As long as you have valid legal grounds for a claim, we will represent you with no payment due until after we win your case. 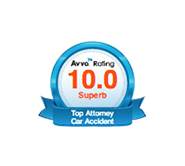 The initial consultation is always free, so call 877-982-0707 now to speak with Attorney Vargas about your accident.